Pachycephalosaurus is a genus of pachycephalosaurid dinosaur. It lived during the very Late Cretaceous Period (Maastrichtian stage) of what is now North America. Remains have been excavated in Montana, South Dakota, and Wyoming. It was an herbivorous or omnivorous creature which is only known from a single skull and a few extremely thick skull roofs. This dinosaur is monotypic, meaning the type species, P. wyomingensis, is the only known species. 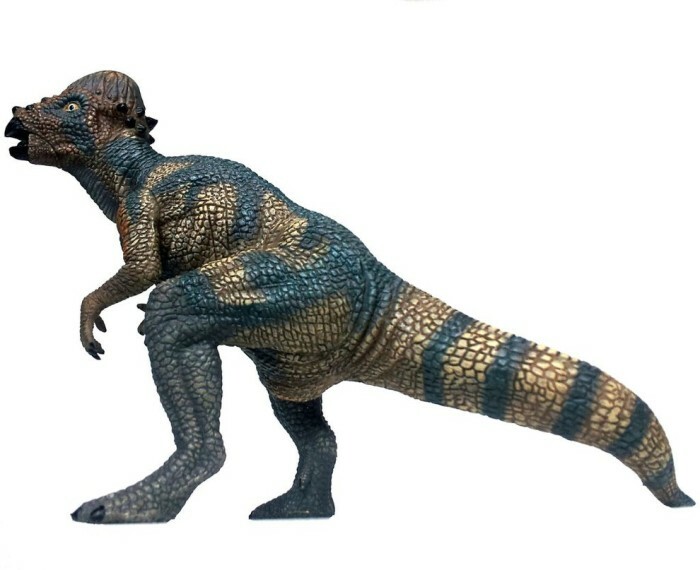 Pachycephalosaurus was one of the last non-avian dinosaurs before the Cretaceous–Paleogene extinction event. 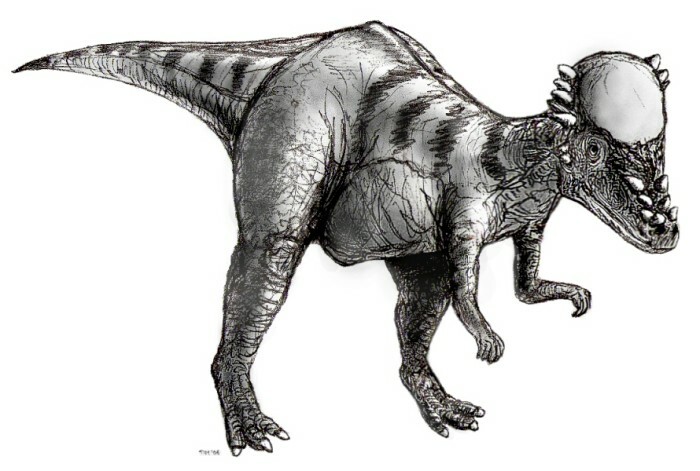 Another dinosaur, Tylosteus of western North America, has been synonymized with Pachycephalosaurus. Like other pachycephalosaurids, Pachycephalosaurus was a bipedal herbivore or/and omnivore with an extremely thick skull roof. It possessed long hindlimbs and small forelimbs. 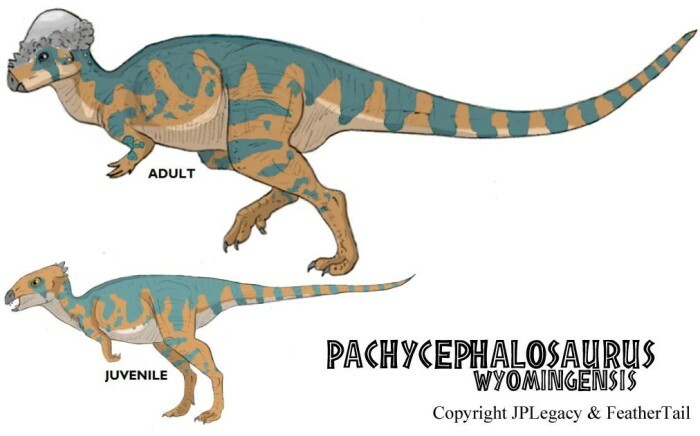 Pachycephalosaurus is the largest known pachycephalosaur. The thick skull domes of Pachycephalosaurus and related genera gave rise to the hypothesis that pachycephalosaurs used their skulls in intraspecific combat. This hypothesis has been disputed in recent years. It used to be thought that pachycephalosaurs bashed heads during the mating season, just like the modern ibex do. 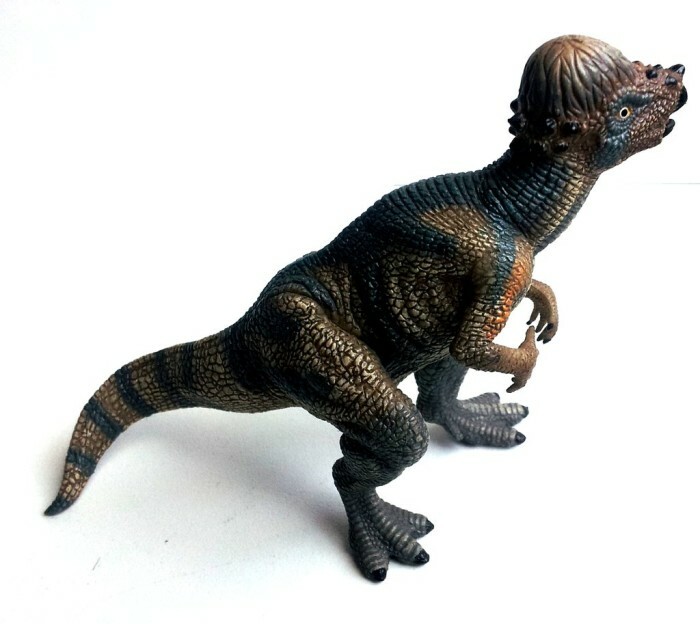 However it is now believed that pachycephalosaurs could not have used their heads for head butting. For one thing the skull roof was probably ill suited to sustain an impact associated with head butting. Furthermore the cervical and anterior dorsal vertebrae show that the neck was held in an “S” or “U”-shaped curve, rather than a straight line, and thus unfit for direct head-butting. Also the rounded shape of the skulls would lessen the contacted surface area during head-butting, which would result in glancing blows. So it is more likely that the animals butted their heads against each other’s flanks, during the mating season, not unlike giraffes do today.